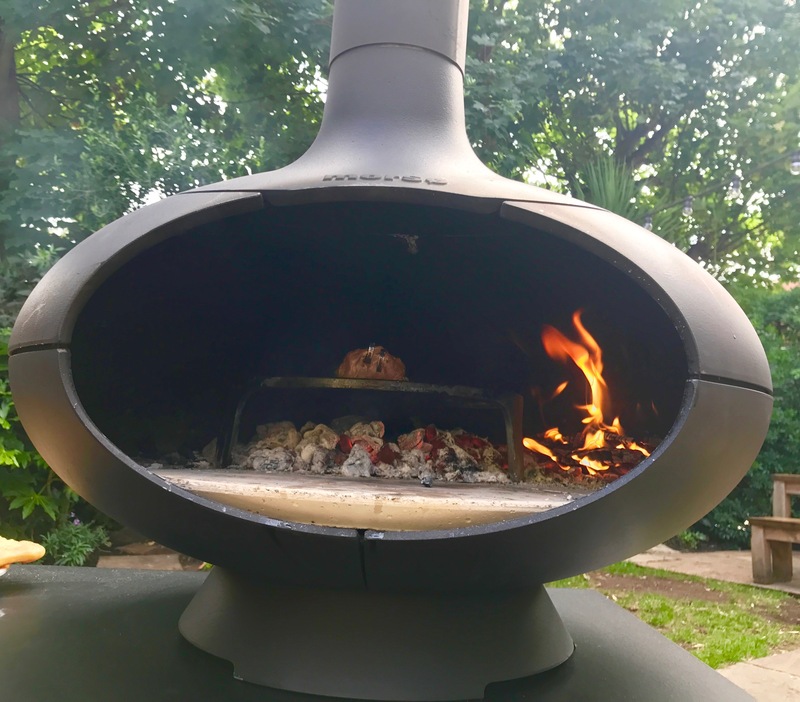 I always love finding new ways to cook and I was very interested in learning all about the versatility of the wood-fired oven. While everyone knows they’re great for cooking pizzas, that’s only a tiny part of their capability as David and Holly Jones from Manna from Devon Cooking School are on a mission to prove. I was lucky enough to meet them at a recent workshop where they cooked a delicious menu for us in the stylish Morsø wood-fired ovens. 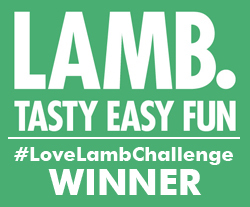 Everything from beautifully light focaccia, succulent peri peri chicken, Greek-style kebabs and even a fruity dessert. 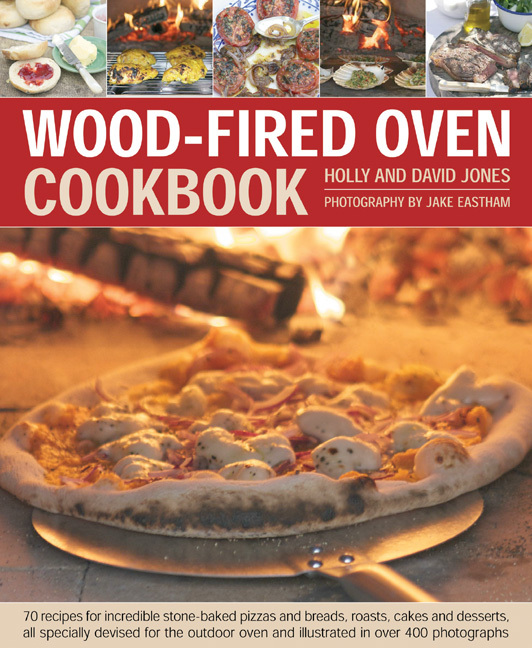 The Jones’ fabulous Wo0d-Fired Oven Cookbook is a comprehensive guide to how to cook with your oven, including plenty of inspiring recipes. Here are three to whet your appetite and motivate you to branch out and do more than make pizza in this amazing outdoor kitchen. Buy the book for £9.99 by clicking here. 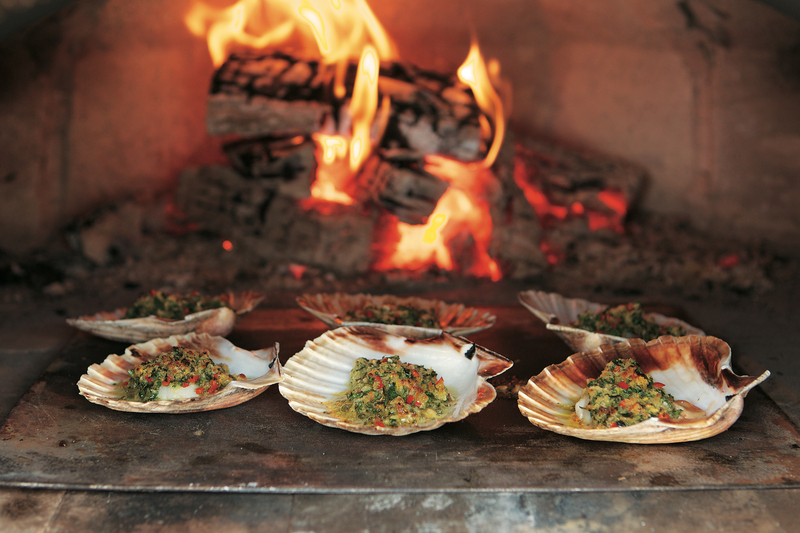 Like all fish, scallops respond well to the hot temperatures in the wood-fired oven – they get a good charring on the outside, which adds to the flavours of the recipe. By baking the scallops in their round shells you won’t have any dishes to wash. Build up the fire in the oven until the temperature reaches 300°C/570°F. This will take about 60 minutes. When it is up to temperature, push the fire to the back of the oven with a metal peel or coal hook, and keep the door open to encourage a hot fire with high flames. In a bowl, mix the lemon juice and grated rind with the chilli oil and olive oil, the butter, garlic, parsley and breadcrumbs. Season well. Cut the scallops in half to make discs and put them with their roes back in the cleaned half shells. Divide the breadcrumb mixture over the scallops. Put the shells on a baking sheet; use two if you need to. Place the baking sheets in the oven, as close to the fire as possible. Keep the door open and bake for just 4–5 minutes, until the tops are golden and sizzling. Carefully move the baking sheets to the front of the oven, using a metal peel to do so. Pick up the baking sheets, but be careful to keep them level so you don’t lose any of the delicious juices. 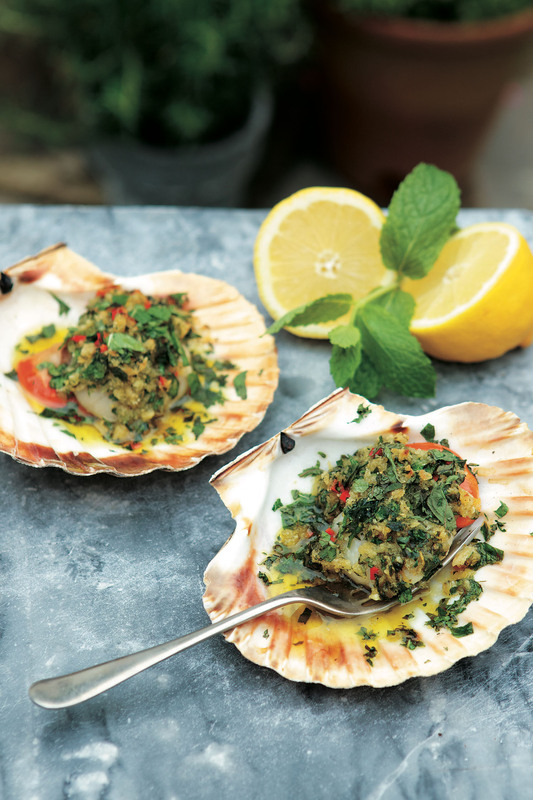 Sprinkle the chopped mint over the scallops and serve immediately with some fresh, crusty bread to mop up all the juices, remembering that the shells will be very hot. Duck, like pork, cooks beautifully in a wood-fired oven – the fat melts through the meat, keeping it juicy and tender, and the skin crisps up well. It makes a rich meal, so all you need to go with it is some braised red cabbage or a watercress salad. Build up the fire in the oven until the temperature reaches 190°C/375°F, this will take about 40 minutes. When it is up to temperature, push the fire to the back of the oven with a metal peel or coal hook, and close the door to retain the heat. Put the orange juice into a small pan on the stove and simmer gently with the star anise and cinnamon stick for 5 minutes to infuse the orange juice. Stir in the redcurrant jelly and simmer gently for 10 minutes until tacky. Remove the spices and season the liquid with salt and pepper. Set aside. Prick the duck skin all over with a skewer. Generously brush the orange and redcurrant liquid over the duck. Put the bunch of sage in the duck’s body cavity. Put the potatoes in a large roasting pan and spoon over the duck fat. Put the duck on a wire rack and place in the roasting pan, over the potatoes. Open the oven door and put the roasting pan on the oven floor. Close the door and roast the duck and potatoes for 1 hour, then take the roasting pan out of the oven. Remove the duck and rack from the roasting pan, drain off the excess fat and any juices into a measuring jug (cup), and turn the potatoes over. Replace the rack and duck, and return the roasting pan to the oven for another 30–60 minutes. Separate the fat from the meat juices in the jug, and set both aside. Check that the duck is cooked by inserting a skewer into the thigh to make sure the juices run clear. The potatoes should also be cooked through and crisped up by all the duck fat that has been released. Transfer the duck to rest on a platter. Drain the rest of the juices from the roasting pan into the measuring jug. Put 2 tbsp of the reserved duck fat and the flour into the roasting pan and stir together on the stove. When the flour has absorbed the fat, stir in the juices from the jug with the red wine and the chicken stock. Keep stirring until it has come to the boil then simmer for 10 minutes. Season the gravy with salt and pepper. 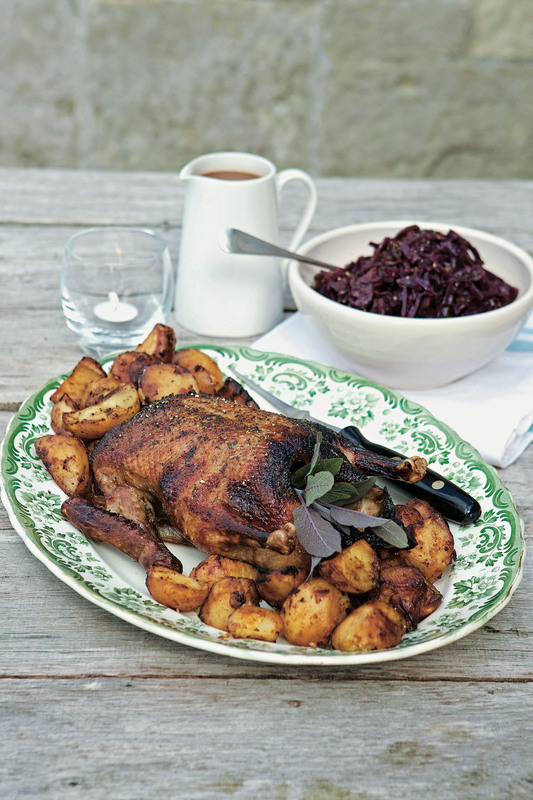 Carve the duck meat and serve it with the gravy and potatoes and some braised red cabbage. Any leftover duck is delicious shredded and served cold in sandwiches or wraps. Duck fat is great for roasting potatoes so do keep any left over in the refrigerator for just that. 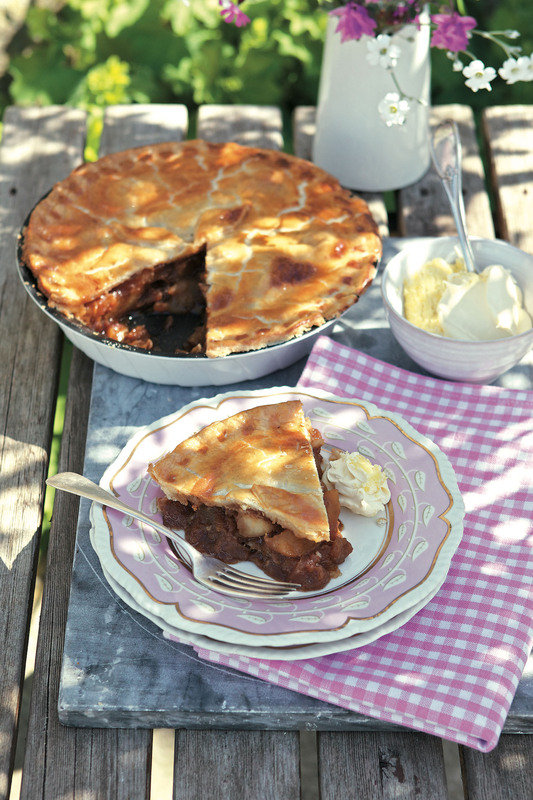 Another all-time classic, apple pie is delicious baked in a wood-fired oven, which crisps up the pastry on the top and the bottom of the pie, giving a crunchy outside and a tender fruity inside. Use the lower heat of the oven to cook the eating apples initially and then build up the fire to get a higher temperature for cooking the pastry. This recipe uses a mixture of dessert apples, which hold together well in the pie, and baking apples, which collapse more during cooking; the baking apples provide a contrasting tartness to the sweeter eating apples. Build up the fire in the oven until the temperature reaches 200°C/400°F. When it is up to temperature, which will take about 40 minutes, push the embers to the back of the oven using a metal peel or coal hook. Leave the oven door closed to retain the heat. Put the apple wedges, butter, sugars and spices in an ovenproof dish. Cover the dish tightly with a lid or some foil, and put the dish on the oven floor. Close the door and cook for 12–15 minutes, until the apples are tender, stirring a couple of times during cooking. Take the dish containing the apples out of the oven, and close the door to keep the heat inside. Transfer the apples to a large bowl and gently fold in the lemon juice and rind. Set aside to cool. Line the base of a 25cm/10in deep ovenproof pie dish with one of the sheets of pastry, pressing it into the bases and sides. Spoon the cooled apples in to the pastry-lined pie dish and spread evenly. Lift the second sheet of pastry with the rolling pin and carefully place it on top of the dish. Trim the pastry, using a sharp knife, and crimp the edges together. Make a couple of steam holes in the top of the pie with the knife. Use the trimmings to cut out some pastry leaves or any other pattern to put on top of the pie, if you wish. Stick them to the pie with the beaten egg and brush more of the egg wash all over the top of the pie. Place the pie in the oven for 25–30 minutes, until the pastry is cooked, crisp and golden. Remove the pie from the oven, and rest on a wire rack for 10 minutes. Serve warm with clotted cream, ice cream or custard. Any leftovers can be reheated or eaten cold with a piece of good Cheddar cheese. You can find out more about Manna from Devon by clicking here. We had peri peri chicken at the workshop Esme, it was delicious. So succulent. Let me know how the apple pie goes! They were fantastic. I know you are the queen of the wood fired oven with all your amazing fish dishes. Haven’t seen many pics recently. I’d love to have one but think my husband would move out! There are enough ovens in our house! Let me know how the apple pie comes out! Love the idea of cooking dessert in it.